Parasites passed on via the food chain often influence the behaviour of their host to their own benefit. One example of this is the tapeworm Schistocephalus solidus, which makes three-spined sticklebacks behave carelessly. The infected fish venture more often into open waters, making themselves easier prey for piscivorous birds, e.g. kingfishers. This is just what the tapeworm wants, because it reproduces in the bird's intestines. A team of evolutionary biologists around Dr. Jörn Peter Scharsack at the University of Münster (Germany) have now demonstrated for the first time that the tapeworm not only influences the behaviour of the infected fish—indirectly, it can also induce equally risky behaviour in other healthy fish in the group. The study is published in the current issue of the journal Proceedings of the Royal Society B. "The reason for this dangerous behaviour on the part of the non-infected sticklebacks presumably has something to with shoaling behaviour," says Jörn Scharsack. "The urge to remain in the group is stronger than exercising caution against any attack by a bird independently." The other way round, however, it is different. The infected fish display risk-friendly behaviour in any case and do not take their lead from the cautious behaviour of the healthy fish when these are in the majority. The researchers suspect that in the wild, the ability of the parasite to have an indirect influence on the behaviour of healthy sticklebacks could also have an effect on stickleback and bird populations. More birds could be lured, for example, because more fish means more attractive prey. The predators' urge to eat fish could thus increase, and ultimately, more tapeworm could get into the birds' intestines and reproduce there. The researchers involved in the study were evolutionary biologists from the University of Münster and researchers from the Leibniz-Institute of Freshwater Ecology and Inland Fisheries, the Max Planck Institute for Human Development, and Humboldt University. The researchers bred three-spined stickleback in the laboratory and infected some of them with tapeworms. They observed groups of sticklebacks in an aquarium and recorded their behaviour before and after a threat from a dummy bird. After contact with the bird, non-infected sticklebacks avoided the upper, "dangerous" area in the aquarium while infected fish quickly returned to the top, to the food on offer there. In mixed groups with predominantly infected sticklebacks, the non-infected fish followed the sticklebacks which had become bolder through being infected by the parasites. 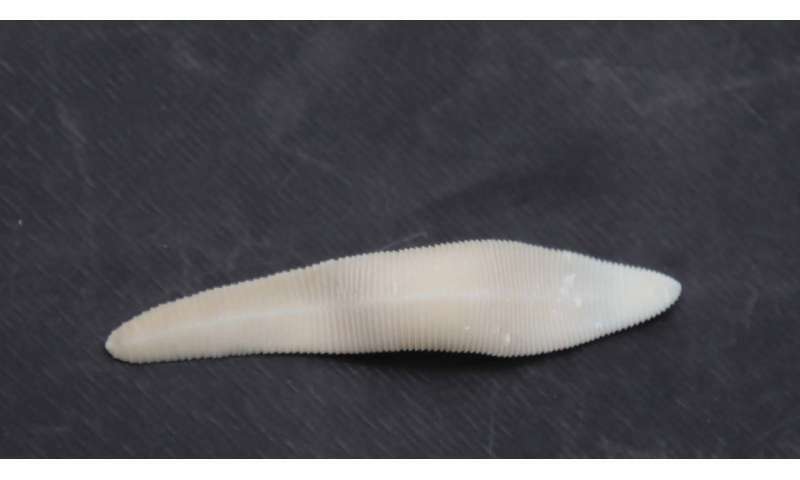 Tapeworm of the species Schistocephalus solidus have a complex life cycle. The first tapeworm larva swims freely in the water and has to be eaten by a small copepod. Inside the crustacean, the larva grows until the copepod is itself swallowed, together with the larva, by a three-spined stickleback which grows up to 11 centimetres in length. Inside the stickleback, the tapeworm grows enormously. After it has pierced the intestinal wall of the fish and has migrated into its abdominal cavity, it can attain up to 50 percent of the weight of its host. Nevertheless, the fish continues to live with the parasite inside it. The tapeworm has reached its aim when the stickleback becomes prey to a bird, because then the tapeworm can reproduce in the bird's intestines. The tapeworm eggs are transferred with the bird's excrement back into the water—where the cycle begins all over again. Should raw sushi eaters be worried about tapeworms?